The gray wolf (Canis lupus) is the largest member of the Canidae (dog) family. Gray wolves have share their ancestry with domestic dogs, coyotes, and wild dogs such as dingoes. Scientists consider the gray wolf to be the species from which most other wolf subspecies evolved. The gray wolf is classified as part of the kingdom Animalia, order Carnivora, family Canidae, and the subfamily Caninae. Gray wolves look very much like large German shepherd dogs, with pointed ears and long, bushy, black-tipped tails. Wolf coat colors vary from white to gray to brown to black; most have a mix of colors with tan facial markings and undersides. Northern wolves are often larger than southern wolves, and males are usually larger than females. Gray wolves were once found in large numbers throughout the Northern Hemisphere—in Europe, Asia, and North America. At one time or another, gray wolves have ranged across nearly every type of environment found north of the equator from deserts to tundra, but they were hunted to near extinction wherever they were found. In the ecosystems they inhabit, wolves are a keystone species: they have a large influence on their environment despite their low abundance. 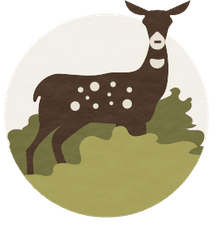 They exert control on their prey species, changing the numbers and behavior of large herbivores like deer (which is now overabundant in many places), thus ultimately affecting even the vegetation. Because of that important role, wolves hold a central place in rewilding projects. The gray wolf is an extremely adaptable species and is one of those animal species that survived the last ice age. The gray wolf's physical characteristics enabled it to adapt quickly to the harsh conditions of the ice age, and its cunning and adaptation helped it survive in the changing environment. Gray wolves typically prey on large ungulates (mammals with hooves) such as deer, elk, moose, and caribou. Gray wolves also eat smaller mammals such as hares and beavers as well as fish, birds, lizards, snakes, and fruit. Wolves are also scavengers and will eat the flesh of animals killed by other predators, by motor vehicles, and so on. When wolves find ample food or hunt successfully, they eat their fill. A single wolf may consume as much as 20 pounds of meat in a single feeding. Gray wolves are social animals. They usually live and hunt in packs of six to 10 members and often range over long distances—up to 12 miles or more—in a single day. Typically, several members of a wolf pack will hunt together, cooperating to pursue and bring down large prey. Wolf packs follow a strict hierarchy with a dominant male and female at the top. The Alpha male and female are usually the only two wolves in the pack that breed. All of the adult wolves in the pack help to care for the pups by bringing them food, instructing them, and keeping them from harm. Gray wolves have a complex system of communication that includes a wide range of barks, whines, growls, and howls. Their iconic and legendary howl is one way that gray wolves communicate with each other. A lone wolf may howl to attract the attention of his pack while wolves in the same pack may howl together to establish their territory and declare it to other wolf packs. Howling may also be confrontational or may simply be an answering call to the howls of other wolves nearby. Most wolves mate for life, breeding once a year between January and March (or earlier in the south). The gestation period is about 63 days; wolves usually give birth to between four and six pups. Wolf mothers give birth in a den (typically a burrow or cave), where they can oversee the welfare of tiny pups which are born blind and weigh only about one pound. She will move the pups several times during the first few months of their lives. To feed their young, wolves regurgitate their food until the pups are old enough to manage meat on their own. Young wolves stay with their natal pack until they are about three years old. At that point, they make the decision to either stay with their pack or strike out on their own. Gray wolves have a conservation status of Least Concern, meaning that there is a large and stable population. 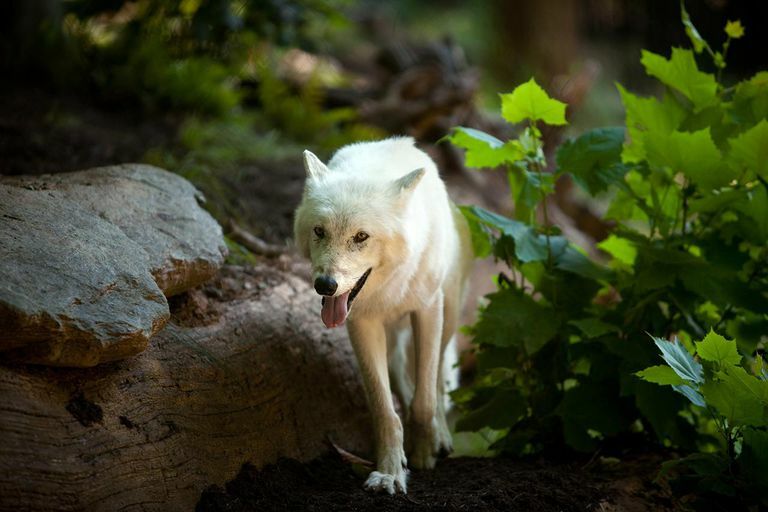 Wolves were successfully reintroduced to Yellowstone National Park and parts of Idaho in 1995. They have been naturally recolonizing parts of their former range, moving into Washington and Oregon. In 2011, a lone male wolf made it to California. There is now a resident pack there. In the Great Lakes region, gray wolves are now thriving in Minnesota, Michigan, and now Wisconsin. One of the challenges of expanding gray wolf populations is that people continue to fear wolves, many farmers and ranchers consider gray wolves a menace to livestock, and hunters want the government to declare open season on gray wolves to stop them preying on game animals such as deer, moose, and elk. Wolves and human beings have a long adversarial history. Although wolves rarely attack humans, both wolves and humans are predators at the top of the food chain. By the mid-1930s, most gray wolves in the United States had been killed. Today, the gray wolf's North American range has been reduced to Canada and parts of Alaska, Idaho, Michigan, Minnesota, Montana, Oregon, Utah, Washington, Wisconsin, and Wyoming. Mexican wolves, a gray wolf subspecies, are found in New Mexico and Arizona. Booker, Emily. “Ten Interesting Facts about Gray Wolves.” WWF, World Wildlife Fund, 21 July 2011, www.worldwildlife.org/blogs/good-nature-travel/posts/ten-interesting-facts-about-gray-wolves. “Gray Wolf.” National Wildlife Federation, www.nwf.org/Educational-Resources/Wildlife-Guide/Mammals/Gray-Wolf. Sartore, Joel. “Wolf | National Geographic.” Wolf | National Geographic, 7 Mar. 2019, www.nationalgeographic.com/animals/mammals/g/gray-wolf/. Why Are Some Gray Wolves Black?